Re: Betfred World Championship Final Higgins v Williams !! For me, it wasn't about Williams' bottle it was about Higgins' strength. 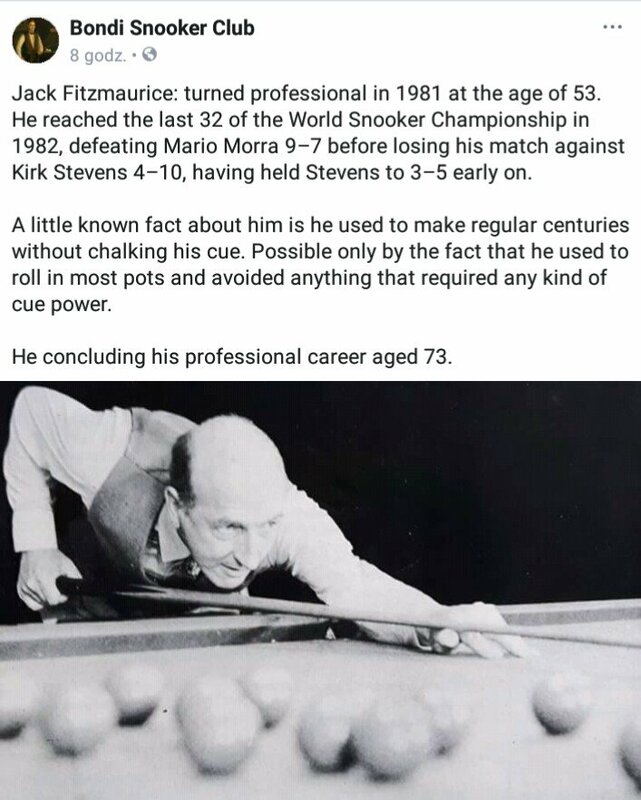 I thought Higgins would find a way to win as he has so many times before. I'll admit though that I wasn't expecting that break at 17-16. That was incredible. So Wild, I know you've said previously about how the Higgins/Williams final says a lot about young players. But what did you think about the match? 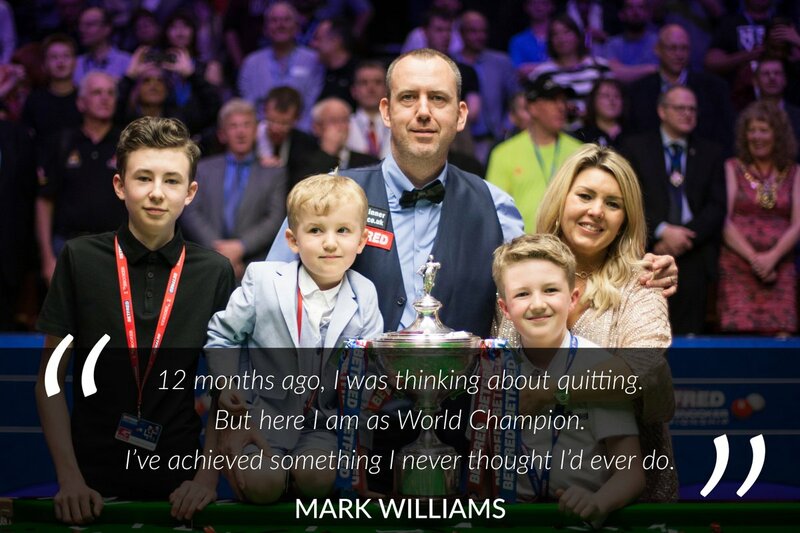 Look im a Snooker Fan through and through and i want the sport to evolve and you need young players to push out the older brigade and for me that part is extreamly sad that Mark Williams after 15 years wins another WC in 2003 Ding Junhui was about to turn pro as was Judd Trump and yet Williams managed to win it before them. But as a Match up in the Final it was Brilliant and so unpredictable because you had the intense Scott vs the Laid Back taff and i for 1 knew Williams would never compete in one chance Snooker with Higgins BUT he would always pot the important shot under the most pressure and that would give him a chance to win. For me it was one of the best, and thats good enough for me, even if viewing figures were so low. 15-10 had something to do with that not to mention the weather. even me was cutting the grass 15 minutes before the session started. Holden Chinaski wrote: There's always a chance Selby will make a comeback as well. Selby not gone away mate if williams has done anything is to prove no matter how bad your form dips no matter how far down the rankings you drop another great championship is still there if you want it and nobody works harder than Selby and he will get it again. Selby will win about five world titles. Well,i,m disappointed,but not gutted,at least he did,nt lose it on a decider,then i would of been well n truly gutted. Who would,nt be disappointed,seeing there,or one of there fav players lose in a World Final. MJW,well n truly deserved to win though. John did fantastic to come back,but a good few times when he did start coming back,he often spoilt it,by lettin MJW keep getting off the hook,due to playin a poor safety,missing an easy(ish) pot,runnin outta position,or bcause MJW was pullin out many raspers to start the frame or to keep the break going,he certainly lived up to his name,"The Welsh Potting Machine".,his safety was very good as well. Many congrats to MJW,what an achievement!,World Champ at 43. NOW 3 TIMES WORLD CHAMPION!. So glad to hear you Mr HF. You know I always pull for the Scots but Willo is my guy! GREAT tournament. Cheers friend! As i wrote,i,m disappointed,but not too,as i also like and am very pleased for MJW. He was without if,s or buts,whatever,the better player and deserved to be World Champ 2018. On reflection this is the best end to the season I could have hoped for. Let's get this thread to 100 pages.